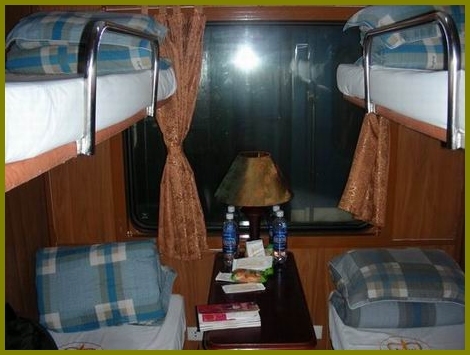 Royal Train also a part of regular train with 2 carriages in SP1 and SP2 between Hanoi and Lao Cai. 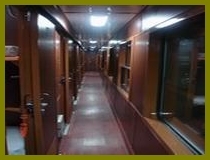 The Royal Train is attracted by offering soft sleeper carriage, A/C clean four-berth cabins which create cozy comforts for travelers during the trip. 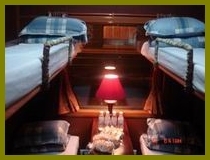 - Passengers are recommended to travel in first class (deluxe) cabin, 4 soft berths. 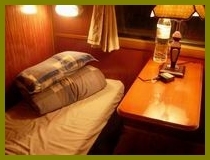 - Child fare: under 5 years: free of charge if sharing bed with parent; 5 years up: adult rate. 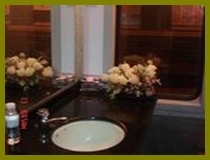 - All cabins are air-conditioned, WC not in cabin. The Hanoi - Lao Cai train stops at Lao Cai Railway Station, just 40 km from Sapa; in order to reach Sapa, you will need to travel an hour and a half more through a connecting bus or private car. 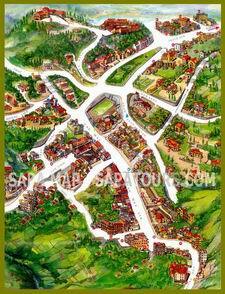 The bus stops at Sapa's main Post Office, leaving you with some minutes walk into town. It can also stop at your hotel, depending upon the location of the hotel. Ticket prices for connecting buses Lao Cai - Sapa are 30000VND or US$2/way.